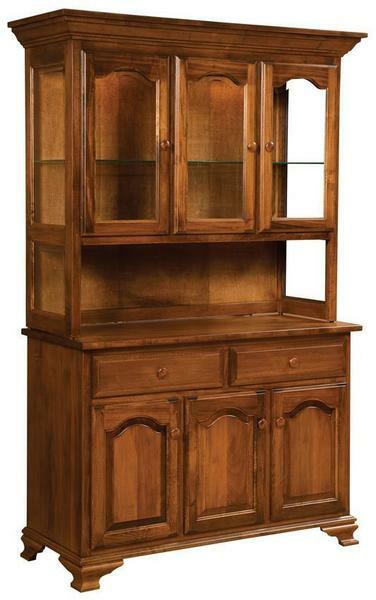 This masterfully handcrafted Amish Classic Hutch is full of customizable options and storage space to fit your dining needs. Choose your own doors, hardwood type, finish, size and hardware to your design tastes. Call our Amish furniture experts today to discover more. Proudly made in America. If you're looking for a different style, check out the Amish Plantation Hutch. Width: 48" or 54" or 60"
3 Door Hutch with 48" width is standard. Shown in Brown Maple with Nutmeg 14295 stain in first image and Oak with Medium Walnut Stain in second image.